You are here: Home / Employee Engagement / Employee Engagement: How to use gamification to climb Mount Everest (almost). 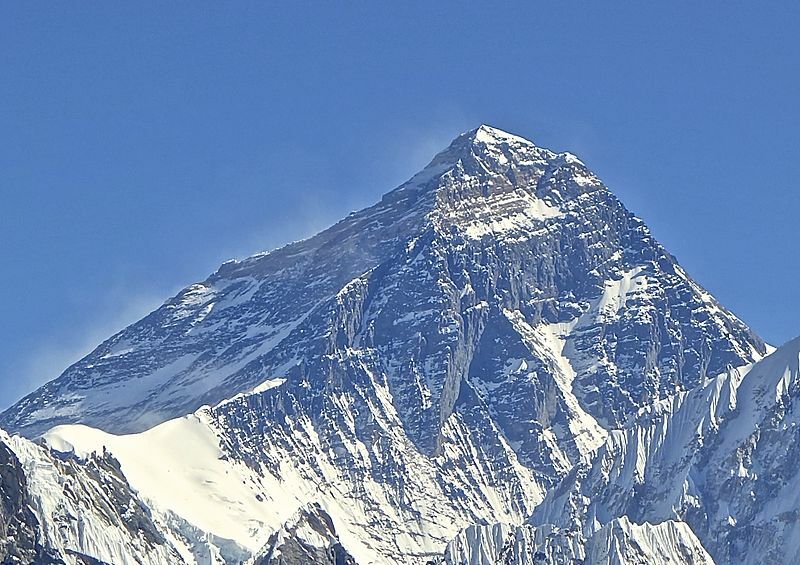 Employee Engagement: How to use gamification to climb Mount Everest (almost). I have themed 2014 as a year of points. I am further extending my work on using the principles and practices of gamification for work and wellbeing. In a future post, I will provide an update of the daily game board I use to plan and track my time and performance to enhance work and wellbeing. For this post I want to outline a three week gamification of fitness. The Winnipeg Winter Club where I workout has a mean looking machine called Jacob’s Ladder. It is like a 40 degree angled treadmill with the tread being replaced by ladder rungs. It is exhausting and you feel a bit like Sisyphus as you climb a ladder and get nowhere, but it is a great workout. The first time I tried the ladder back in January I could only do a couple of minutes before being fatigued. For the month of February my fitness club challenged members to climb 29, 029 feet, or the equivalent of the elevation of Mount Everest on Jacob’s Ladder. I decided this was a game, even at fifty-nine years of age, I wanted to play. I knew to be successful I needed to gamify the process and was ultimately successful in taking just twenty days from the time I started to making it to the summit. Compelling narrative. I was not climbing a ladder I was participating in an adventure to get to the top of Everest. A strong compelling narrative often keeps people glued to a movie or a game. In this case, I kept imaging I was getting to the top of Everest. I wasn’t delusional but it made climbing the steps more fun. Being social. I didn’t climb with someone else but my daughter, Katharine, was my fitness buddy in another challenge at the club. Her support and knowing I was scoring points for us as a team was very helpful. I used almost daily updates on social media to report on my progress to make myself accountable to people who follow me and to gather energy and encouragement from their support. And of course, I kept broadcasting my success to my wife and sons. Making progress. Progress is engaging while setback are disengaging. I did not wait until I arrived at the “summit” to celebrate. I printed out a Wikipedia list of all the mountain peaks around the world so I had the progress of reaching the elevation of over 1000 peaks along the way. Also I scored 10 points for a bigger fitness competition each day I completed ten or more minutes on the ladder. Meaningful. This game was meaningful to me. For gamification to work and be sustainable the game must be meaningful to the player. Virtually climbing Mount Everest would not be either compelling or meaningful to many people but as someone who lived their whole life on the prairies it had always been a whimsical desire to climb the world’s tallest peak. Given everything else in my life this was about as close as I was going to get to achieving that desire. Novelty. From one perspective I was just climbing a ladder to nowhere and that can be very fatiguing and boring. I enhanced novelty in the game by working at different paces and with different lengths of climbing. One day I climbed for 28 minutes and covered 1816 feet — this climb was the equivalent of climbing the CN Tower in Toronto (it must have been a foggy day as the view on Jacob’s Ladder never seemed to actually change). Keeping track. I used a notebook to keep track of time, steps, and speed. Monitoring the climb with the different numbers derived was motivating while keeping me on track and preventing a fitness goal derailment. Celebrate. I did celebrate success of the goal achieved by opening a small bottle of bubbly champagne and toasting the feat with Jeff, the fitness director, in a couple of small paper cone cups. We should always make time to celebrate progress as this helps to mentally install all the benefits of our accomplishments. Benefits beyond the game. I like games that are immersions rather than diversions. By this I mean the game has real world benefits and is not merely a distraction from work and life. This game increased my fitness, helped me shed about 10 pounds, and feel more energized each day. The game as a booster rather than an end in itself. Sometimes the trouble with gamification is that it begins to lose its impact over time. Now that I was successful will this mean I stop using the ladder and let my fitness entropy to previous levels. To overcome this I am now planning to climb the equivalent of the 7 summits of the world over the next year. It won’t be as intensive as the last month but it will make the progress and fitness sustainable over a long period of time. As we begin to approach the end of a helpful and positive gamification of work or wellbeing it is quite helpful to ask ourselves: what come’s next? Just because the game ended doesn’t mean the practice and benefits should also end. Are you game? How can you integrate the practices outline above into your own work and wellbeing to foster greater engagement in achieving a result that matters to you or your work group? Many small steps are one giant step. In summary it was 29,029 small steps for David and one giant step for the application of gamification to better work and wellbeing. David Zinger is a Canadian employee engagement speaker and expert who believes in the benefits of gamification as a powerful tool for greater engagement. David, thank you for sharing your virtual adventure and applying it to the Employee Engagement space. I also believe there is a real place for social recognition like Gamification in driving engagement. However, I also want to think through the unintended consequences of this specific element. David McClelland developed his Human Motivation Theory with the three principle needs people have being achievement, power and affiliation. Everyone has all three, but there tends to be certain one(s) that are the most dominant in each person. As an example, consultants usually have the V of high achievement and power with low affiliation. Gamification appears to build mostly on the achievement motive. So I have been wondering will we just be engaging those who are driven by achievement, losing others along the way, or turning everyone into achievement junkies that has its own issues. I welcome your thoughts on this point. Thanks to sharing your Everest summit experience . I am really impressed and all of your points are playing a vital role in every plan. But you should write another article about women employee engagement.